Joe Godar of ivacationonline.com and Vacation Rentals For Profit.com At ivacaitononlione.com we want you to succeed. We not only have a state of the art, patent pending online reservation system for private owners, we have the knowledge to make sure your business is running at the highest level. We have been in the real estate and vacation rental business for years. We have even wrote a book about it"Vacation Rentals For Profit". 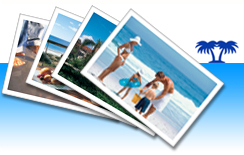 Once you join ivacationonline.com we will contact to see you thru the set up process. At that time we are happy to go over your Vacation Rental business, sharing with you all the knowledge and techniques we have accumulated over the years. Please visit our other site anytime. Or email us a question here. We will get right back to you!